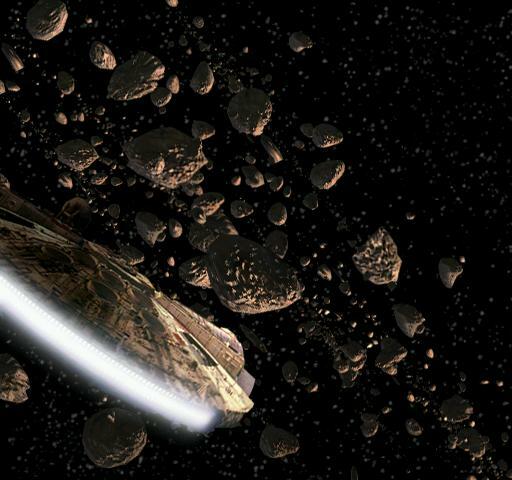 Now, of course, we know exactly what asteroids look like because we’ve sent space probes to or past many of them. 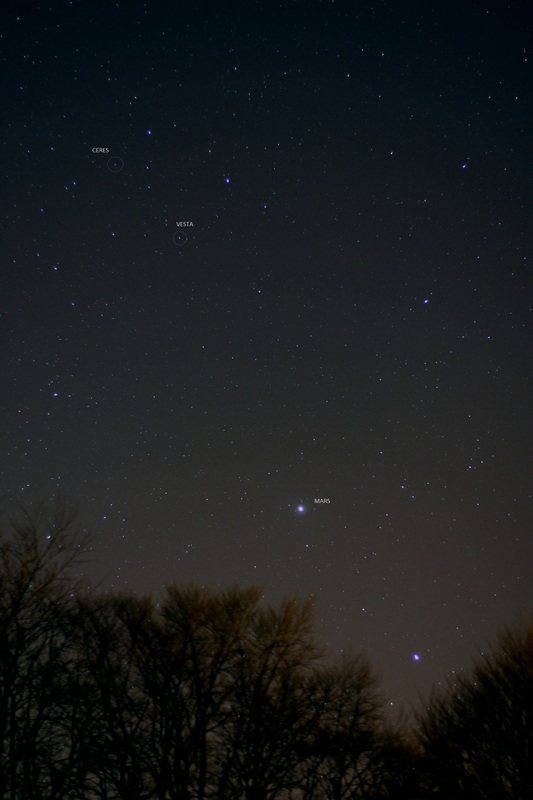 And we know, too, that the asteroid belt, while densely populated, would pose no problems for a Jupiter-bound spaceship because the asteroids in it are so very far apart that if you were passing one even its very nearest neighbour would be so far away it would look just like a star in the sky. 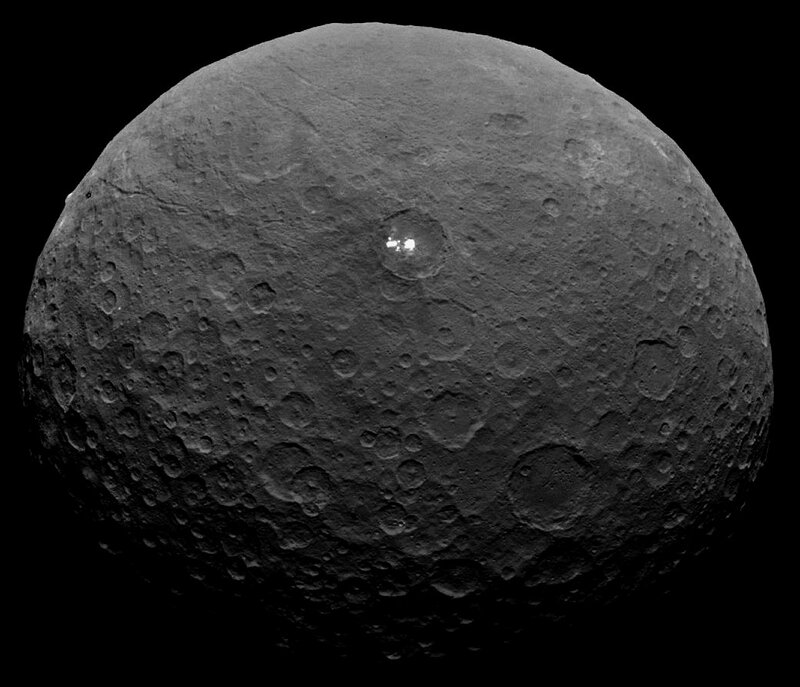 But still asteroids fascinate us and call out to us, Siren-like, from the cold, dark depths if the solar system. 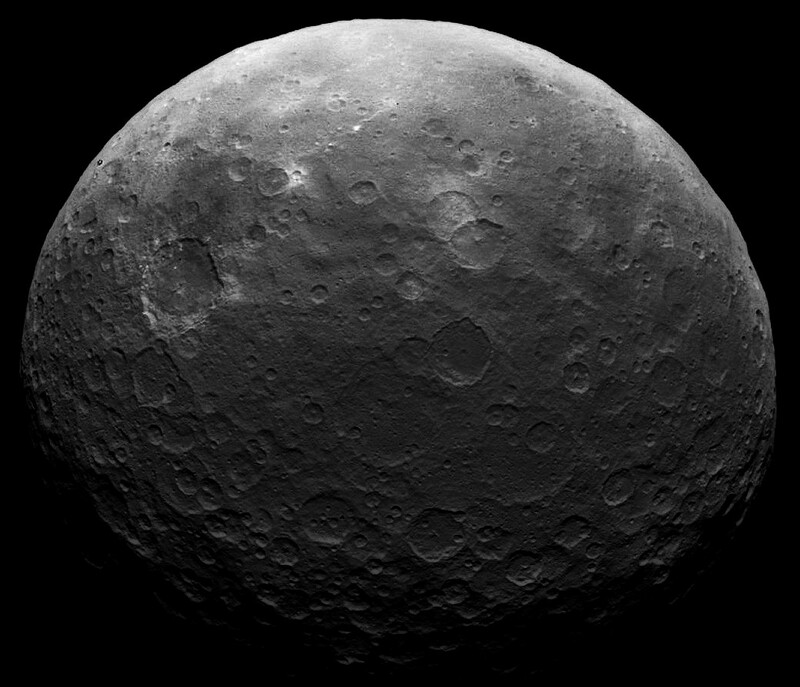 Yesterday NASA released a new animation showing Ceres rotating, and it’s a beauty. 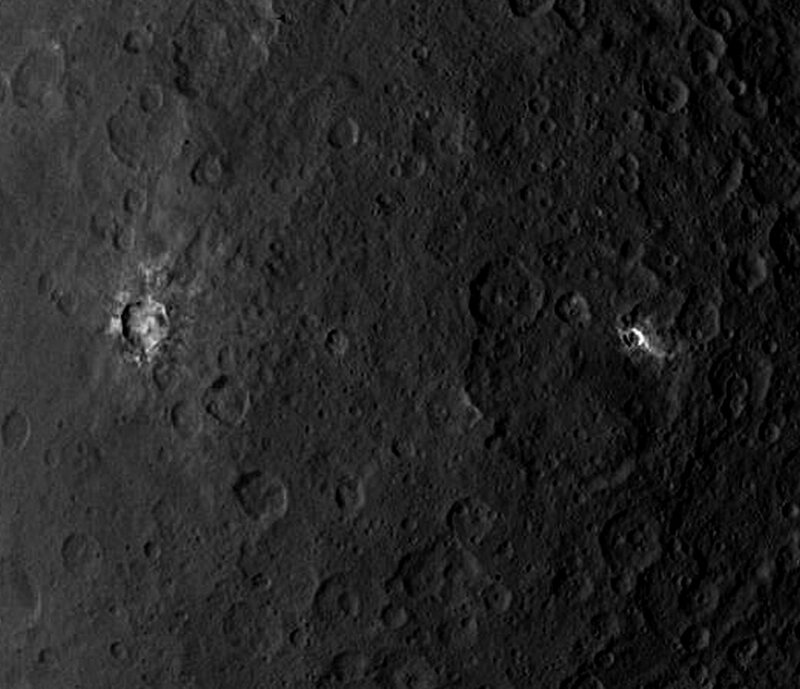 …and as you can see there are more than just a pair of bright features in there, there’s a veritable bright spot party going on inside that crater! Can’t wait to see them in real detail later in the mission. 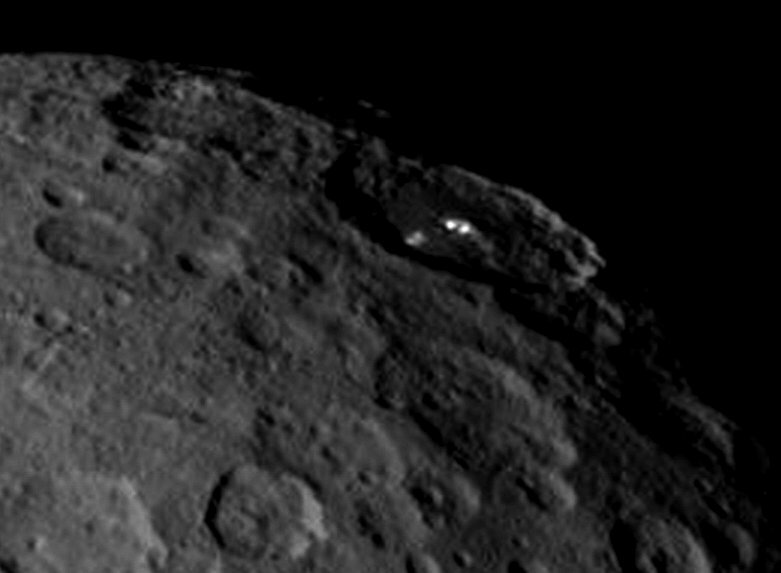 Another view of Ceres, which I’ve really stretched to bring out detail and features. Note: it should be remembered that enhancing like this – sharpening, changing levels etc – can often introduce imaging artefacts, i.e things which aren’t really there, so please bear in mind that this is just done to bring out general detail, but mainly to produce aesthetically-pleasing and intriguing images, ok? 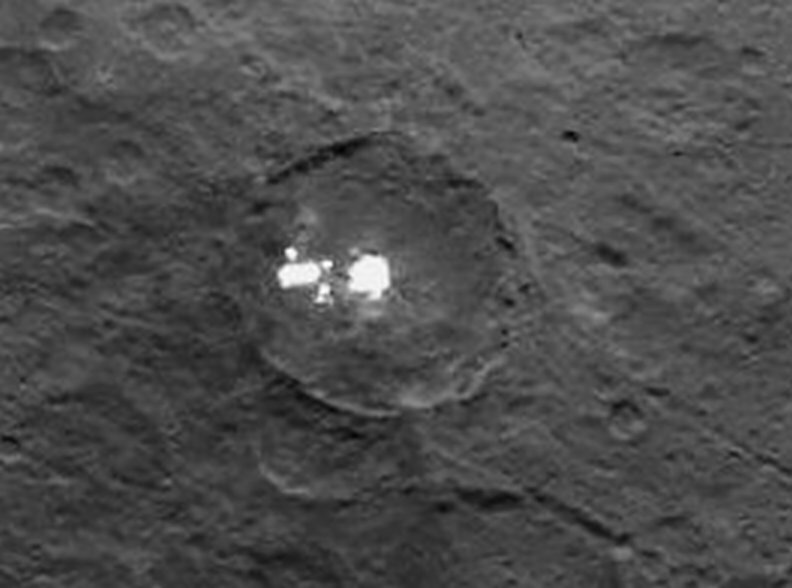 Ahhhh, now you can see, quite clearly, that the surface of Ceres is raked and scratched and etched with valley- and trench-like features. That’s extremely interesting! 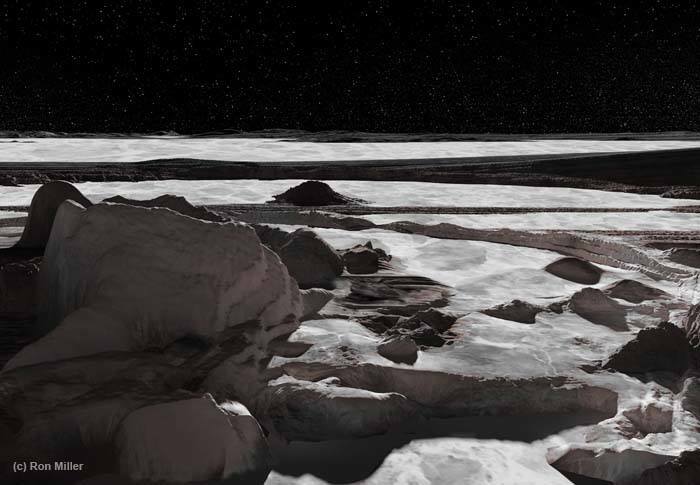 Again, we look forward to high resolution views of those! 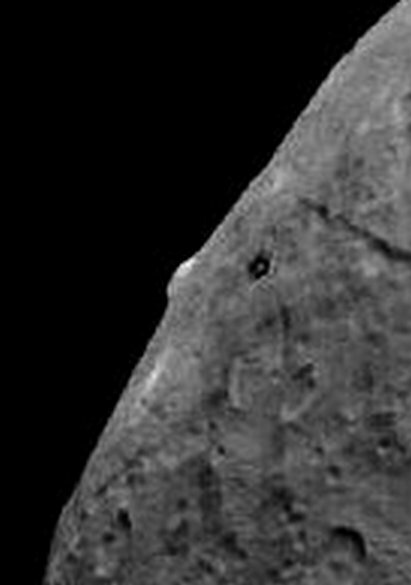 Something else caught my eye too – a feature which can be seen on the limb of Ceres on some images, which looks very much like a mountain or, some are suggesting, a volcano..? 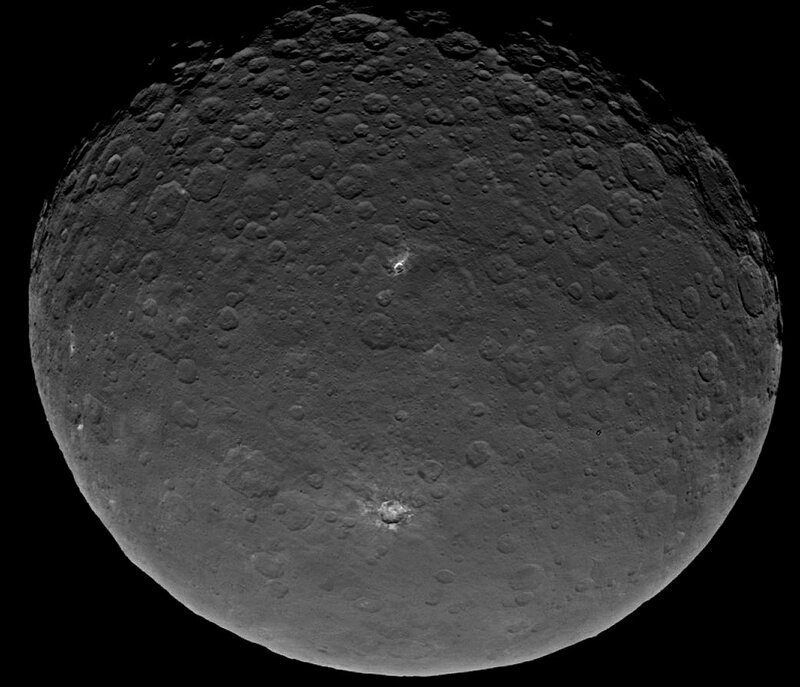 …and finally, I made this image of Ceres purely to look pretty so please, no-one take it too seriously, ok? 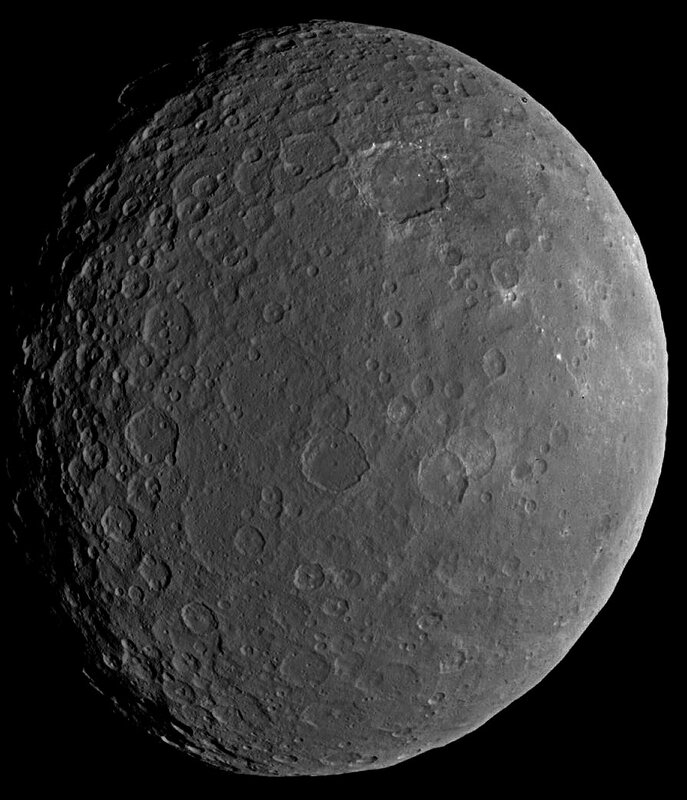 Over the coming days and weeks we’ll see Ceres in more and more detail. Who knows what amazing discoveries lie ahead? THANK YOU for your outstanding effort. 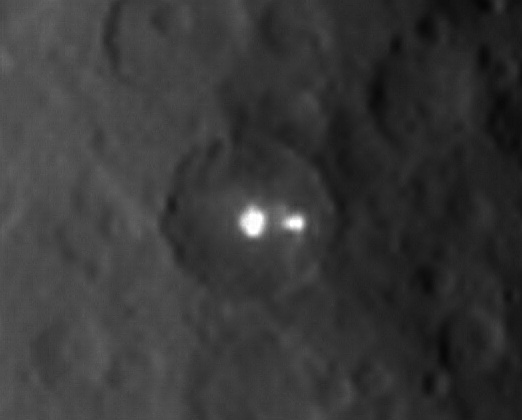 why do you have better photos than NASA, of Ceres?